Powder coating is an extremely durable, uniform, epoxy based coating that is baked onto metal in our large 8′ x 8′ x 16′ oven. We have hundreds of colors and textures from which to choose and aim. 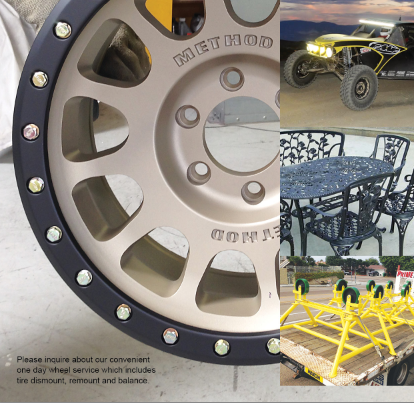 Prime has more than ten years experience powder coating wheels, chassis, frames, furniture, gates, rails, motorcycles, bicycles and many other items.